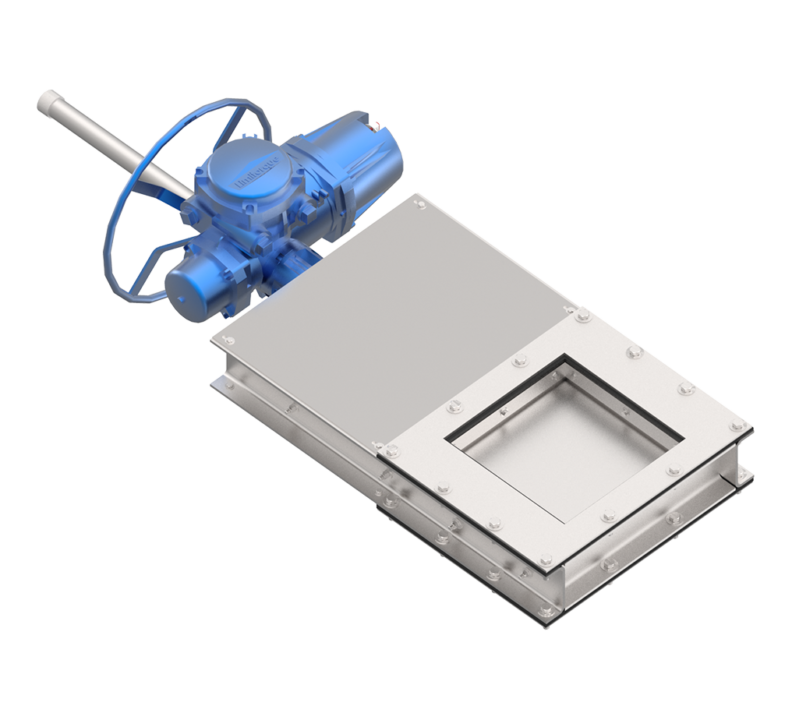 The JMS Bio-GATE (Slide Gate) is made in-house for use in wastewater treatment sludge, grit and screenings applications. Slide gates are used on shafted or shaftless screw conveyors to transfer product to different conveyors or to distribute product into storage yards, vessels or truck trailers. Gates are also used under hopper and silo live bottom screws for truck load-out. JMS heavy duty hopper gates take heavy overhead loads and may span two or more screws. JMS takes special care to design each Bio-GATE (Slide Gate) to support overhead loads and provide the stability needed to meet stringent blade deflection limits. Sealing the gate is achieved by several seal arrangements and types depending on the application. Actuator drive assemblies are sized and designed with appropriate safety factors to provide maximum gate longevity.